It’s a rare achievement, but through the ups and downs the last fortnight’s precursors, one film has failed to miss a beat, landing gongs from the New York, Los Angeles and Washington critics, as well as the NBR and the British Independents, not to mention Indie Spirit and BFCA nominations. 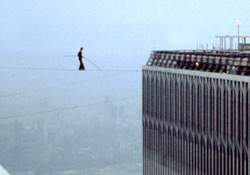 That film would be “Man On Wire,” James Marsh’s crisp, witty and ultimately very moving documentary about Philippe Petit, the charismatic French performance artist who in 1974 committed the so-called “artistic crime of the century” — an illegal tightrope walk between the Twin Towers of the New York’s World Trade Center. Despite being what some might have seen as a niche project, it has emerged as one of the most acclaimed films (a Metacritic score of 89 speaks for itself), not to mention one of the top-grossing documentaries, of the year. For Marsh himself, an affable, down-to-earth Brit whose startling 1999 debut feature “Wisconsin Death Trip” announced him as a name to watch in documentary circles, the film came as a happy change of pace after his somber foray into fiction filmmaking, 2005’s Gael García Bernal-starrer “The King,” suffered a muted, occasionally hostile reception. 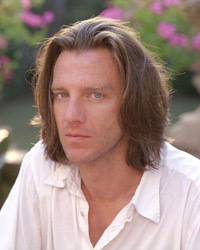 Describing the latter as an “immensely cruel film,” he says he welcomed the chance to take on more playful material. Marsh’s technique therefore involved a number of artfully stylized reconstructions to convey the tension involved as Petit and his crew break into the Towers and plan their mission. Marsh explains that he was aiming for a “comical, silent-movie aesthetic,” and makes no apologies for using reconstructions — a contentious issue in some corners of the documentary profession. Returning to the latter, he is currently completing work on “Nineteen Eighty,” part of a BBC adaptation of British novelist David Peace’s “Red Riding Quartet,” a saga of police corruption during the infamous Yorkshire Ripper murders. (Each of the four parts is being filmed by a different director.) “Nineteen Eighty” stars Paddy Considine (“In America,” “My Summer of Love”), whom Marsh describes as “extraordinary,” before musing that working with actors and working with documentary subjects such as Petit require similar skills. Man on Wire is an astonishing piece of work. I was utterly hypnotized by it while watching. I finally saw it this past week on DVD and I was completely blown away. Can it be nominated for Best Film? It should be. My favourite film of 2008.